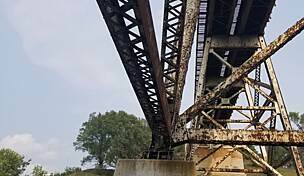 Notice of trail damage: Sections of the MoPac Trail under Highway 50, and from the trailhead parking lot at the west end of Highway 31 down to the Lied Bridge have been damaged due to flooding. The Lied Bridge itself is closed to all users. 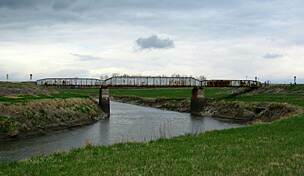 Check the Papio-Missouri River Natural Resources District website for updates. 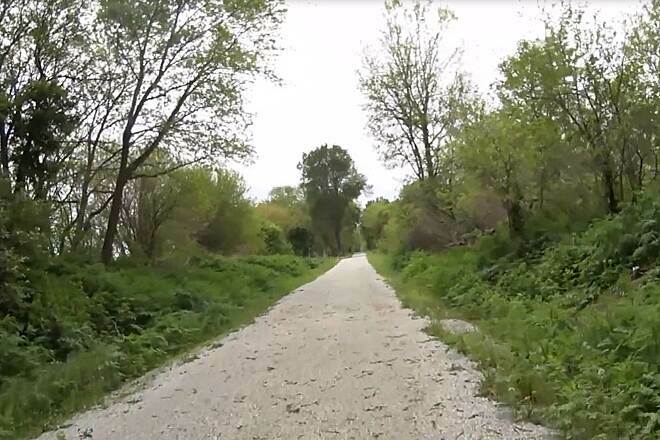 The MoPac Trail in Springfield, Nebraska is an integral component of what is planned to be a more than 50-mile recreational trail between Omaha and Lincoln, Nebraska's two largest cities. 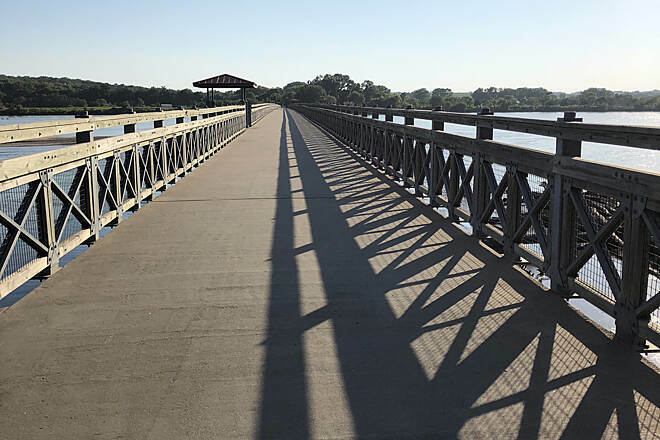 Four sections of the trail are currently open for use: the MoPac Trail West in the heart of Lincoln, the MoPac Trail East extending from Lincoln through rural farmland to the tiny town of Wabash, the Platte River Connection/Lied Platte River Bridge near South Bend and the northernmost section in Springfield. 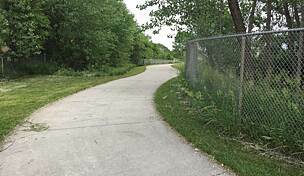 Nearly the entire route rests on an abandoned Missouri Pacific Railroad corridor—hence the trail's name—known as the Omaha Belt Line. 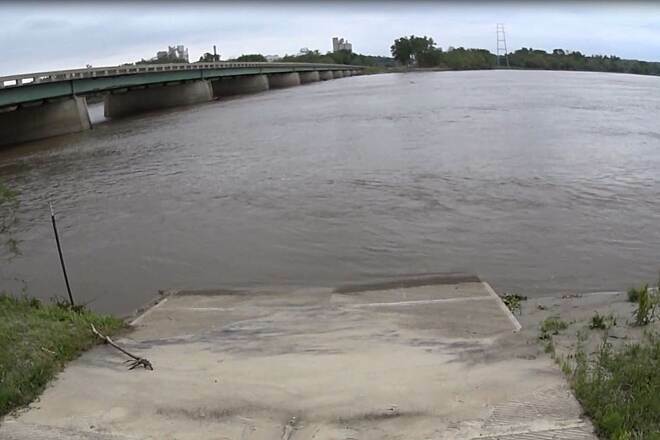 From the south, the Springfield portion begins at the end of the Lied Platte River Bridge, just across the Platte River from the town of South Bend. A recently constructed portion of trail (one of the few sections not built on the former rail corridor) parallels State Route 31 east until its junction with SR 50. Here, the trail passes under SR 50 immediately adjacent to the river before turning north and rejoining the abandoned rail line. 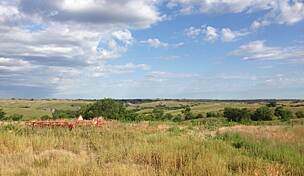 Soon the trail enters the distant Omaha suburb of Springfield. 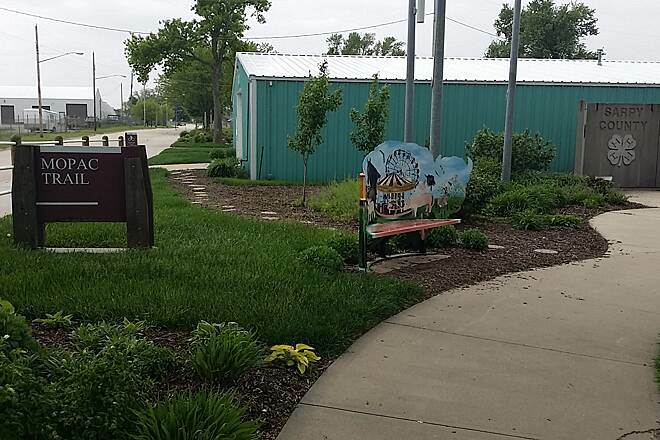 The town was originally founded in anticipation of the Missouri Pacific Railroad building tracks through the area, so it is wholly appropriate that the route is preserved as a trail. 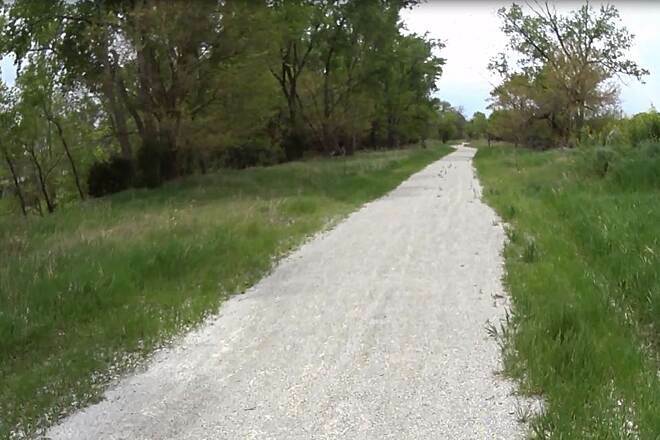 A former gap in the route between Main Street and Platteview Road was recently filled in slightly away from the historic rail line, now allowing for uninterrupted off-road travel through Springfield. 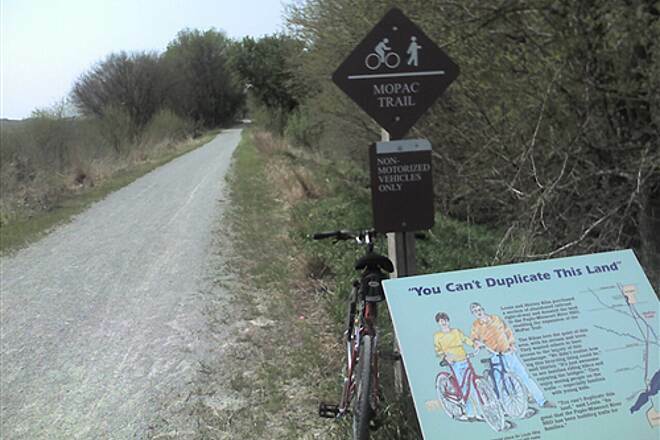 North of Springfield, the MoPac Trail again traverses through open countryside before ending abruptly at Schram Road, south of the Omaha community of Westmont. 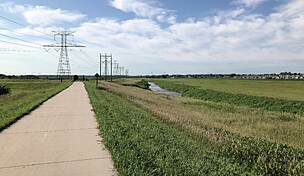 Fortunately, long-term plans call for an extension north to meet Omaha's robust trail system. 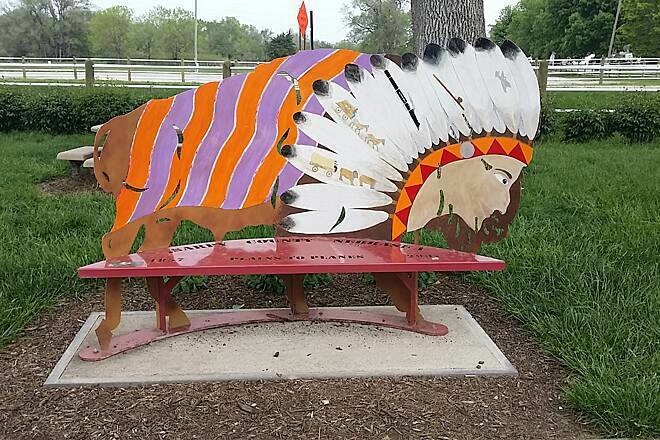 A dedicated parking lot for the MoPac Trail can be found where the trail meets Platteview Road. 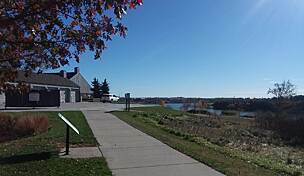 In the south, parking is available at the intersection of State Route 50 and State Route 31 just north of the vehicular bridge over the Platte River. The 3 mile section north of Springfield, the gravel is too deep, and it might be a little big. You can ride it with bigger mountain bike tires, but it's a hard pedal. Walking or running it would be fine though. 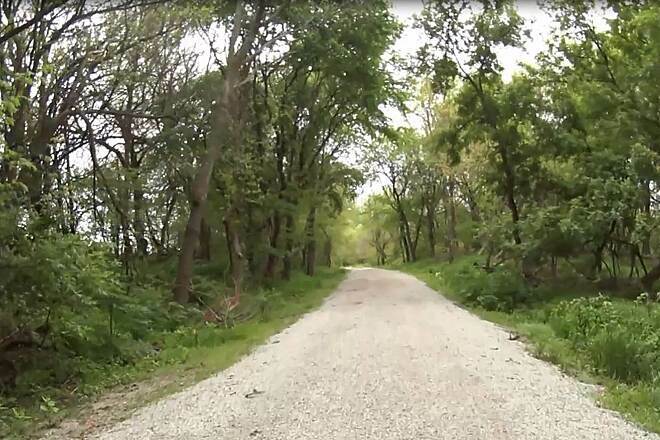 The trail south of Springfield is in great shape, just the right amount of gravel, and the right size. It used too be our favorite ride. Now it's too unsafe. 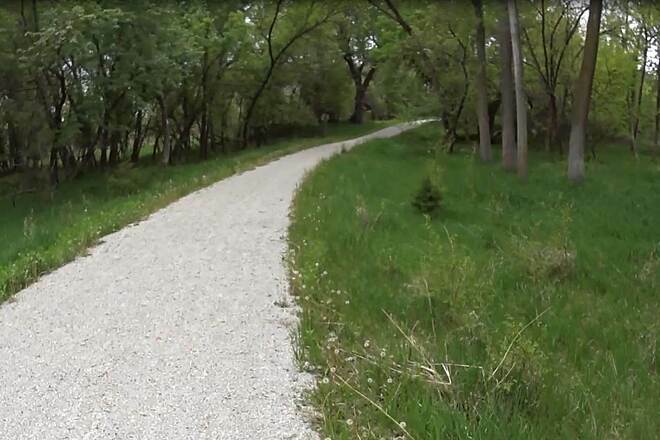 Last spring they put new gravel down on the trail. They used the wrong size and put it WAY to deep. The gravel is too big even for a gravel bike. If you rode it on a fat bike you could maybe enjoy it. I lost count of how many times my wheels fishtailed out from under me on our latest ride. We were lucky no one in our group crashed. We won;t be on that trail again until it is fixed. Luckily we have the Wabash. We use to ride this trail a lot, but gave up on it after several rides on it this spring and summer, each time thinking that it was going to be in better condition. 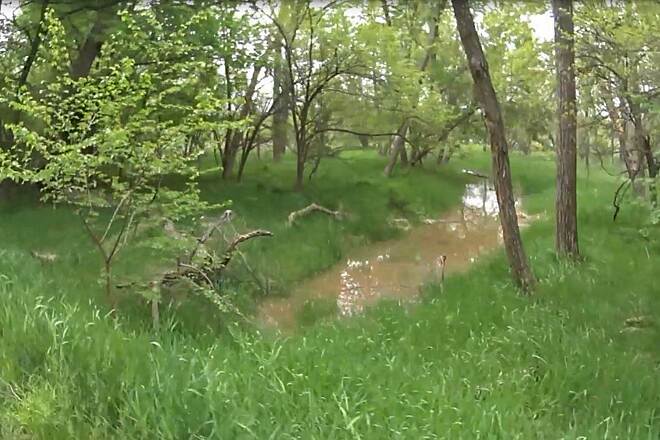 I even wrote emails and messaged the Papio-NRD a couple times telling them it was unsafe and way too thick to ride. It's Bad from the start on Hiway50/Schramm Road all the way to Springfield and then past Springfield in places. What was once our favorite is now our least favorite. very disappointed in the care of this trail. its like riding in mud. 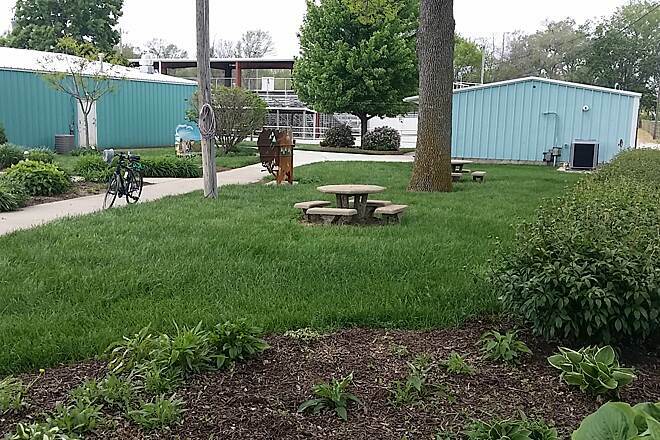 they should take advice from the wabash trace trail caretakers. Not only is it to deep in 95% of the trail the rock they use is to large. I gave up on riding back and chose to ride back on the roads. and I never like to ride with cars. 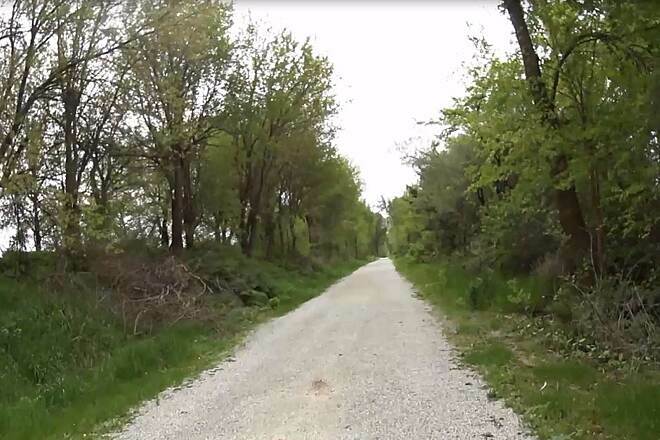 I rode this trail today for the first time this year, between Springfield-Louisville. The south part of the trail, south of Buffalo Road, is covered with limestone which was applied way too thick. This has turned a once good trail into a very unenjoyable ride unless you can plow your way through it. It needs to be bladed. Very sad condition. We live close to the trail and enjoy riding our bikes on it. This spring they put too thick of gravel on it and way too big of sized rock. You couldn't even ride a mountain bike on it. So we hit the shoulder on the hiway and get yelled at by motorist driving by to use the trail. We miss not being able to ride on the trail and are afraid it will be years before we will be able to again. Nice trail, some nice shaded/wooden areas. Very scenic around the Louisville to Platte River bridge area. Trail was very good shape. Some parts the gravel/rock was a little heavy to pedal through, but overall very well maintained. No washouts or washboard sections. The development of this trail is progressing. 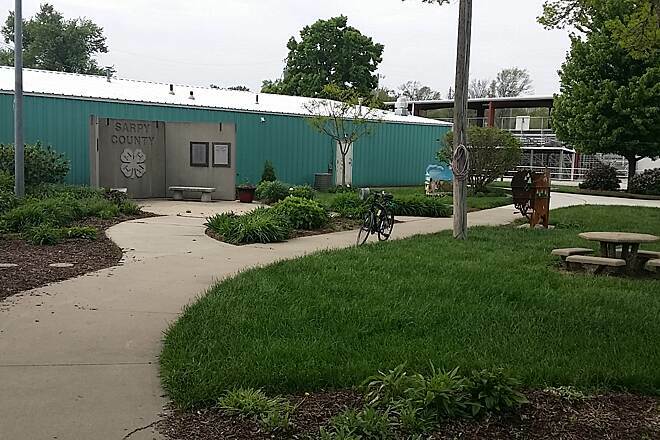 Starting in Lincoln you can ride the West and East sections through Lincoln to Wabash, NE. 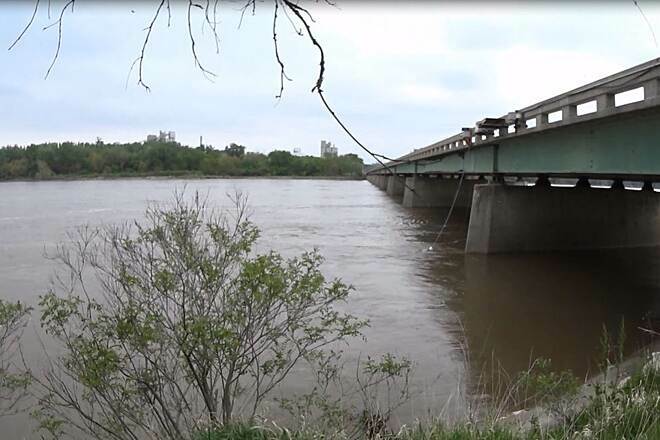 Future plans call for a connection from Elmwood, NE, using Hwy 1 through Murdock, along County Road 330 to Hwy 66 and then connecting to the Platte River Bridge. 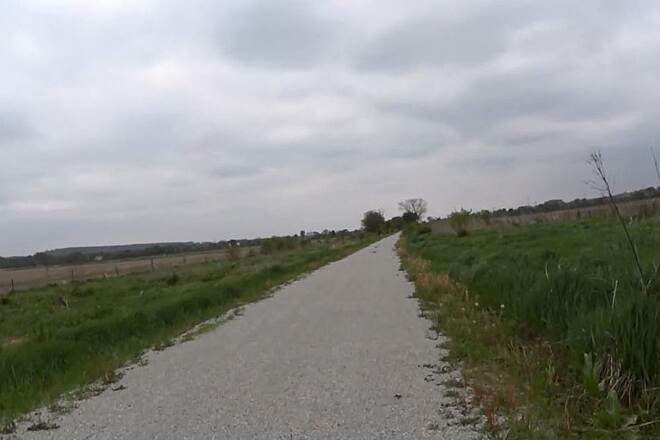 From there you can now ride the Hwy 31 Trail to Hwy 50 where the rail corridor out of Louisville (not developed) takes you to Springfield, NE. The 'Springfield Gap' has been completed so the two sections of the trail are now connected. 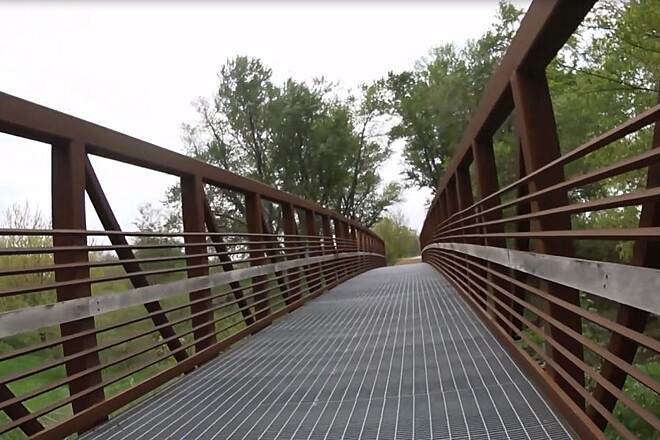 The last part, which has taken forever and is still not being constructed, is the connection to Chalco Rec Area via Schram Rd and 168th Street, will hopefully be done in my lifetime. 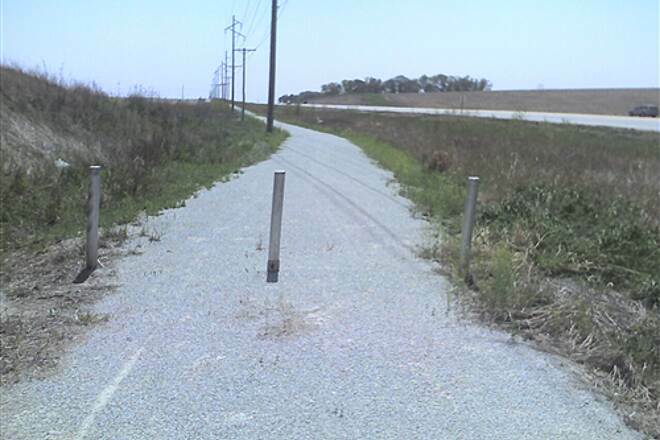 To avoid this section, you must take the shoulders on Hwy 50 to Hwy 370 and then you can connect to Chalco Rec Area and the Omaha Metro Trail system. 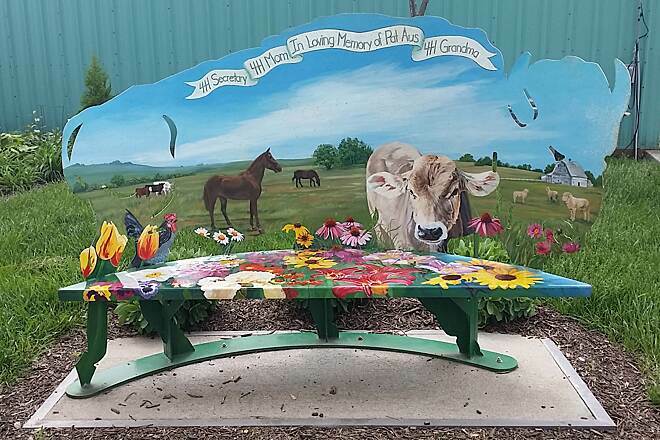 Its a beautiful ride thru the Platte River valley and surrounding areas. I like this trail. It's a two-fer! 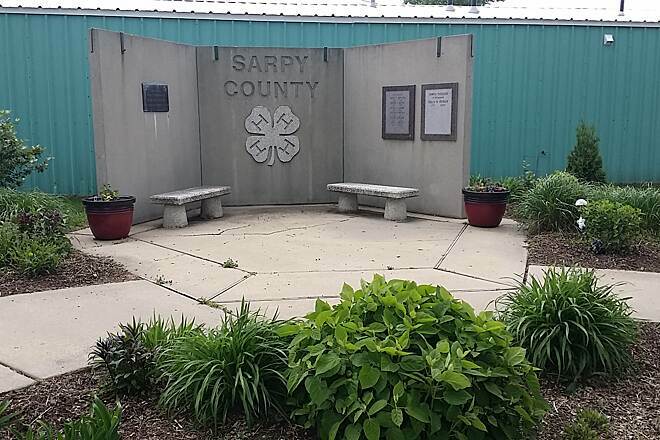 Other reviews talk about the trail section north of Springfield, and the fact that this trail is a bit short, but they don’t have to be. I started at the fairgrounds & Mopac trailhead in Springfield, and went south. 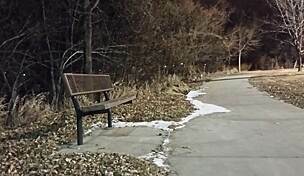 It is a nice place to start, with sturdy concrete picnic tables (sort of kid-sized, but adult possible) and regular benches. 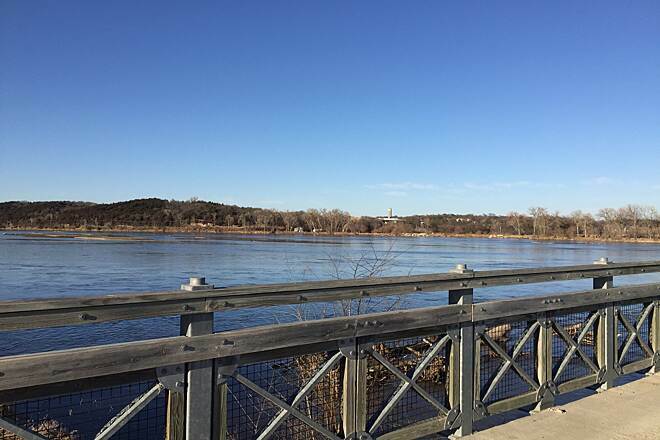 If you start there, you will go just about 5.67 miles south till you hit the Platte river. You will go thru a very nice forested area which I was really hoping to see deer or something, but I did not. It’s very nice there. There is also a 2.5 mile straightaway that does indeed run along the road, but the road is not DIRECTLY next to the trail, so you don’t get too much noise or an overwhelming sense of traffic. There is slight ups’ and downs’, but not very much more than any other rail trail. Once you reach the river, Your just a few hundred feet from the southern trailhead, but if you stop here, you'd be at a restaurant called Heron Bay. I highly recommend you eat here! Yummy food, and a outdoor table with a nice river view if you want. 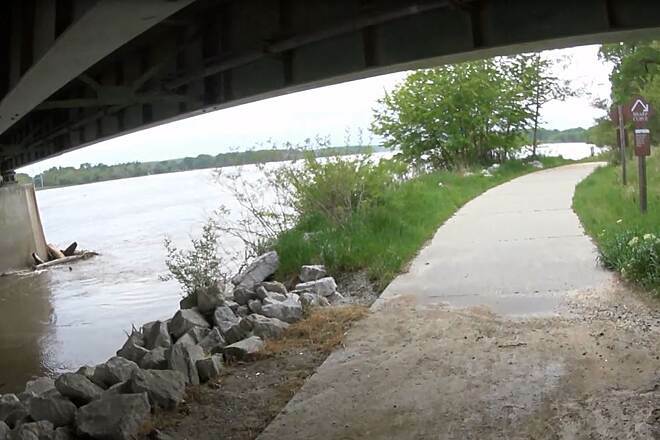 If you decide to keep riding, just follow the trail down, under, and around the bridge for a close up of the Platte river itself. Following the trail back up, you will be at the southern trailhead in less than a minute or two. 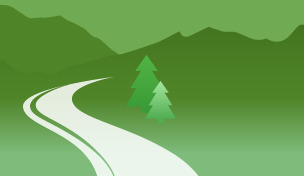 Most maps and sites show this as the complete trail, but it’s been lengthened. Once on site, I saw signs that say ‘Mopac trail’ going in the western direction from that southern trailhead, so I followed it. It took me another 4 miles on the same crushed limestone, right to the Platte River Connection. (look up that trail on this website). There were some steeper uphill’s and downhill’s on this section, but not too tough. 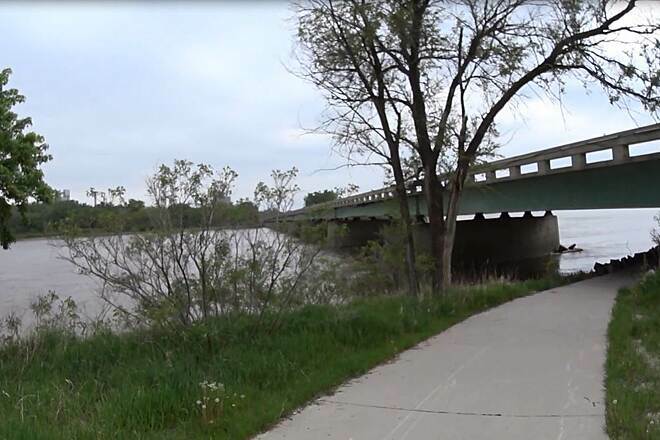 The Platte River Connection is listed as a 1 mile trail, but when you get there, you have to ride back up from the river, so it’s more like 1.65 miles. 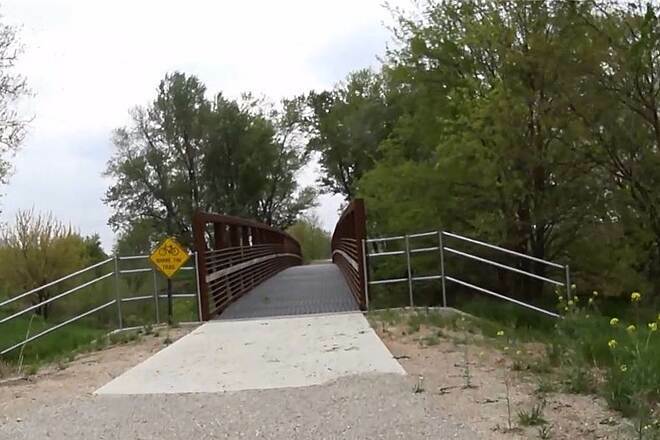 I don’t know the official current length of any ongoing trails, but if you ride from Springfield, to the southern trailhead at the Platte river, then go on to the Platte River Connection and ride it, then ride clear back to your car in Springfield, you will have gone about 21 miles. Not too shabby. 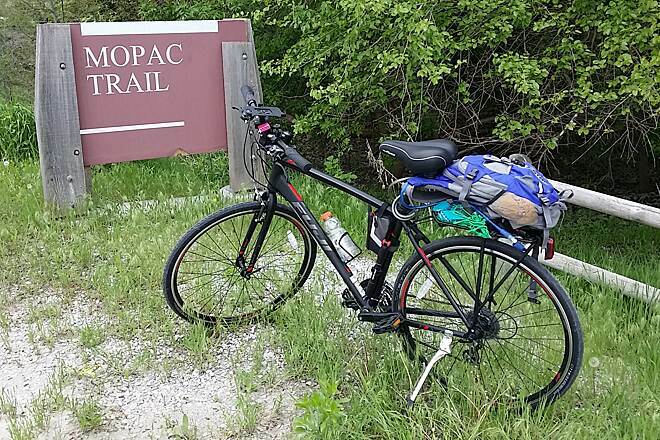 As I said before, this trail is listed as short, but if you want, you could park at the southern Mopac trailhead, ride north to the Springfield trailhead, then back down to your car, then out to the Platte River Connection, and back again. It’s still the same 21 miles that way, but this way will ensure you end up right near the Heron Bay restaurant and then your car after some yummy fried catfish. Good for a short trial run if you live around Omaha. Just over 6 miles from Springfield to Louisville. Plenty of places to park in Springfield around the fairgrounds. 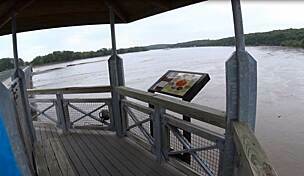 When you get to the south end at the river, you can cross the river on the Highway bridge which has a wide shoulder on each side, and get into the town of Louisville. The bridge does carry a lot of truck traffic so be careful. The trail was in decent condition in mid-April. 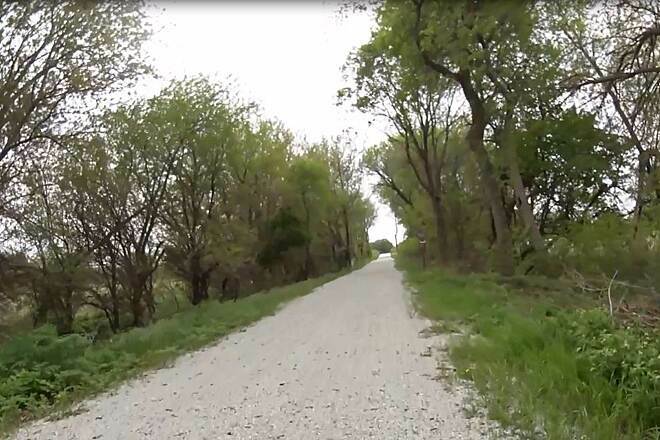 The northern end of the trail, between Gretna and Springfield, doesn't get as much traffic and so the gravel is looser but still in very good condition. 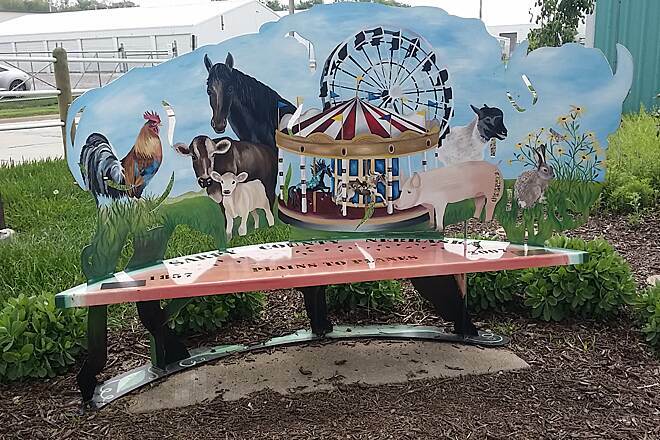 The trail is not marked well as it goes through Springfield so just wonder through town and find the fairgrounds on the south side. 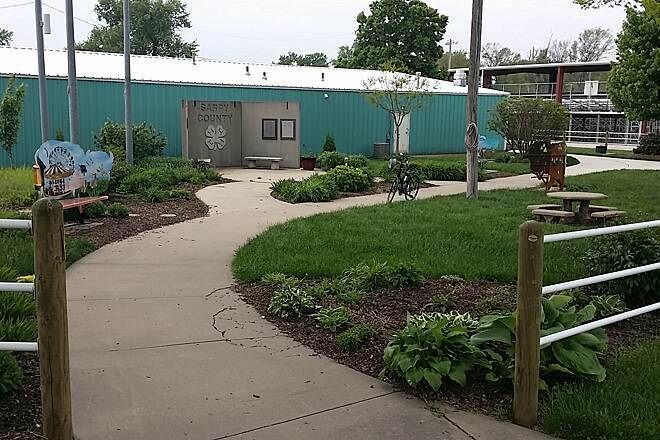 Trail is at the SE corner of the fairgrounds. Gentle grade uphill from Springfield northward. The trail parallels Highway 50 which has wide shoulders for those who prefer hard surfaces though the highway sometimes gets fairly busy. 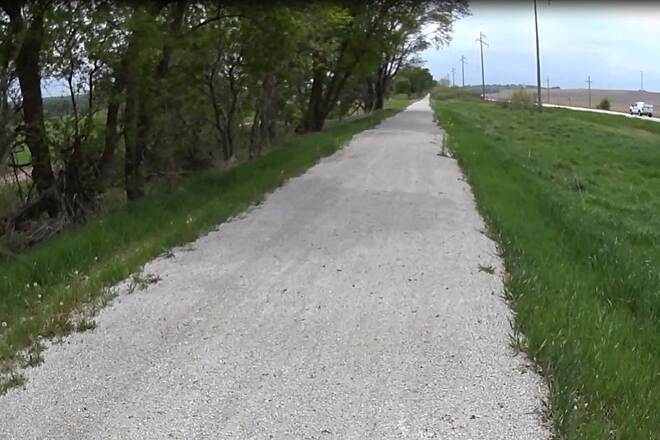 Covered with fine limestone, this end of the trail, between Springfield, NE and the Platte River, is well maintained. Very gentle grade uphill toward Springfield. Nice views along both sides of the trail and wildlife is present. We saw deer and racoons on the evening we rode. Much of the trail parallels Highway 50 which has wide shoulders so that is an option for those who don't like the gravel though the highway sometimes is fairly busy.